Our story began in 2007 when Pastor Ann met a young mother who was looking through the Safeway Dumpsters searching for food to prepare dinner for her 5 children. Pastor Ann invited the mother to come to the church and share her story. Her testimony inspired those who were listening to do something about this. We began simply with a dinner served once a month. 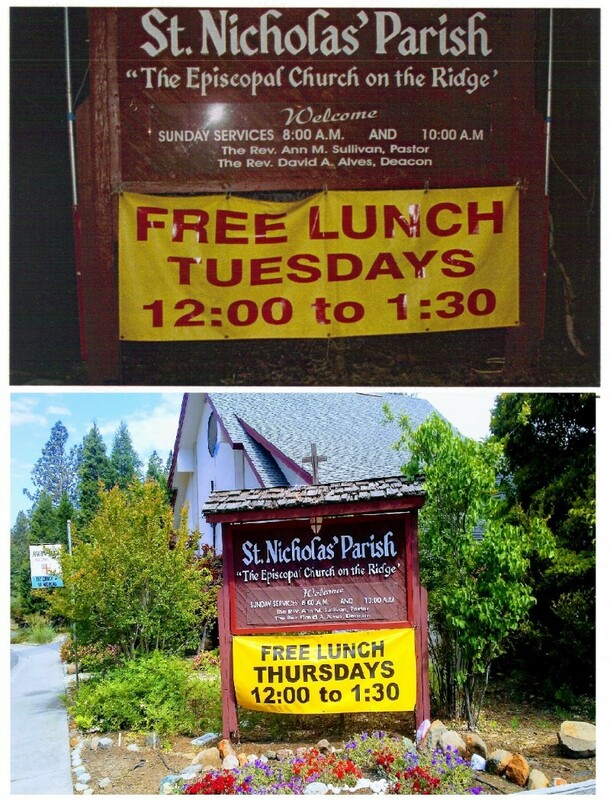 We now serve 8-10 meals a month and feed 200-250 people at each meal. 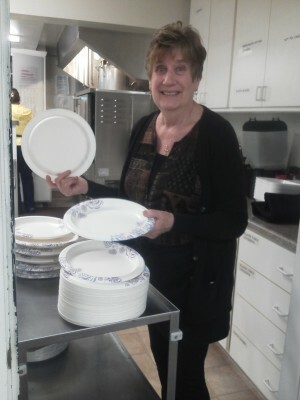 Our Volunteers provide an outstanding meal every time. “I believe we are blessed with some of the best chefs on the Ridge!” Lorraine Hambleton. “On St. Patrick's Day, I enjoyed corned beef that was better than Grandma's!” Mike Little. 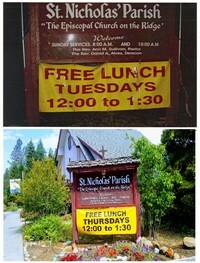 Please come join us for Lunch from Noon - 1:30 pm on Tuesdays and Thursdays. If you are interested in volunteering in serving our brothers and sisters, please come into the Parish Office and fill out a Volunteer Application.